As a major limestone processing equipment manufacturer in China, SBM Machinery always supply complete unit of high quality limestone production line with crushing, grinding machine to our clients. Limestone processing (limestone mining) plants are heavy duty and self contained limestone crushing plants and limestone grinding equipments designed for high production in quarry or concrete recycle operations. SBM limestone processing plant is available under various conditions, processing limestone in any hard conditions which other equipments cannot substitute. We provide a wide array of limestone processing plants, ranging from large limestone crushing production line to limestone grinding machine. Our range also includes a huge variety of limestone feeders, screens and belt conveyors, along with system products. SBM limestone mining equipments can process limestone in various industries, like cement, paper making, painting, sand making and chemical, etc. 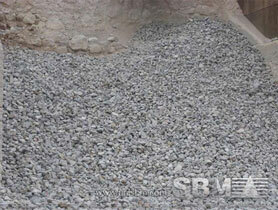 SBM has built the limestone processing plant in China, Indonesia, Malaysia, Philippines, India, Uganda Saudi, Ghana. These limestone quarrying plant is used for limestone sand and powder making. Slabs of limestone can be cut or faced for building material, sliced for countertops and tile, crushed to various dimensions for fill, roadbeds, and concrete aggregate, further crushed to a powder for agricultural lime, a soil conditioner, and heated to melting, then crushed to make portland cement. "limestone processing plant of many options is designed by SBM Machinery for producing high quality crushed limestone & limestone powder."